The latest storm to give me pause is Super Typhoon Trami—currently churning in the West Pacific—and images courtesy of astronaut Alex Gerst. The images, snapped from the lofty perch of the International Space Station, show crisp white clouds against a deep blue ocean, the symmetry of the eye, and the swirl of clouds within the eye itself like a world within a world. A look inside Trami’s eye. Trami is the most powerful storm on the face of the planet right now. On Tuesday morning, it was packing sustained winds of 149 mph and gusts up to 184 mph. That’s down a bit from its 160-mph peak on Monday and there are signs the typhoon may have weakened a bit more, but don’t let that or its gorgeous appearance fool you. Trami still poses a threat to Japan’s southern islands later this week as it begins it turn northward. The storm could even reach Honshu, Japan’s most populous island, early next week. 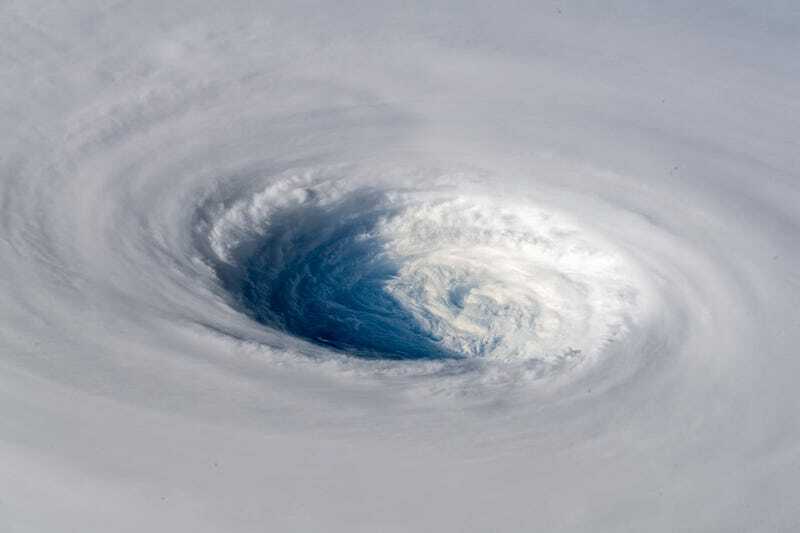 In terms of destructiveness it’s unlikely to rival Mangkhut, which rocked the Philippines and Hong Kong last week, but it’s also not what disaster-weary Japan needs after a year of torrential rains. The Western Pacific is the most active tropical cyclone basin in the world, but this year has been particularly rough. There have been more major storms than usual and accumulated cyclone energy—a metric that uses wind from all cyclones in a basin and adds them up over time—is also higher than the norm. Research published in 2016 shows that landfalling storms in Asia have become 12-15 percent more intense since 1970, likely driven by warmer oceans. So while it’s easy to admire these stunning beasts over the ocean, let’s not forget they’re often still beastly at landfall. And even when they’re not at their peak, they can still cause major damage. The big picture of Trami is pretty incredible, too.